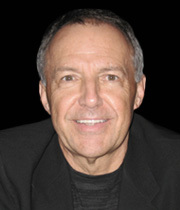 Tom Zender is a professional CEO Mentor and Business Coach. He held leadership roles with GE and Honeywell, and was a CEO and Senior VP in Fortune 500 companies, small-medium businesses, startups, and nonprofits. He held board positions in NASDAQ and Toronto Stock Exchange listed corporations. Tom speaks about leadership and other business topics to audiences of up to 1,500 in 20 countries. He is a two-time Amazon bestselling business book author and writes weekly about leadership for the Phoenix Business Journal. Tom is a Venture Mentor and Academic Associate at Arizona State University, where he mentors faculty and students who have startup businesses.